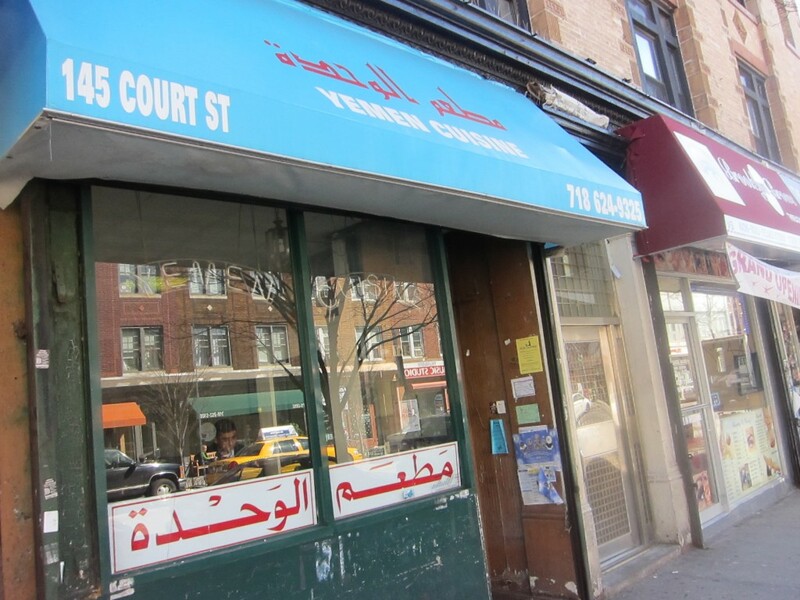 It’s highly likely that if you were to look up mentions of Yemen Cuisine online, you might just end up never going to this little Brooklyn eatery. “This place is a total dump,” reads one Yelp review. “Dingy” and “food all over the table and floors” pop up in other accounts. 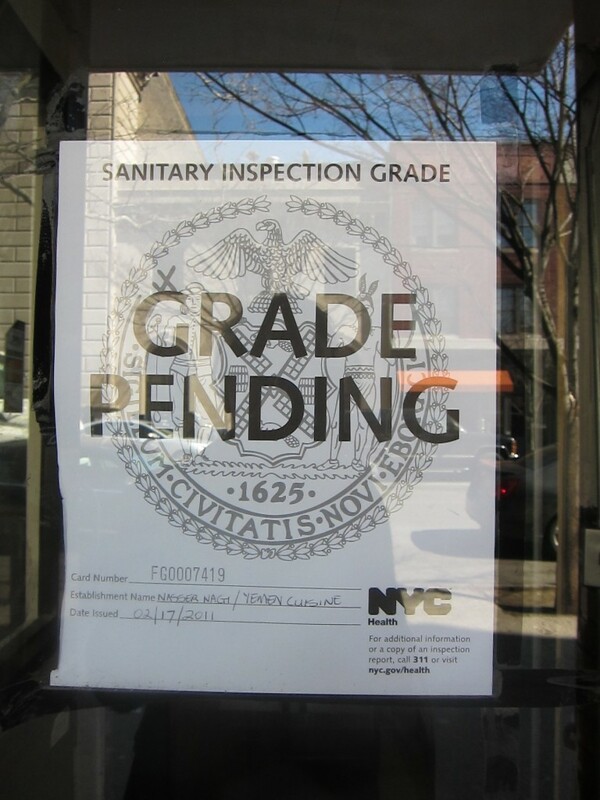 Many of the best meals I’ve had have taken place in locales of questionable hygiene, however. In fact, in Singapore, where I’m originally from, if you’re dining at a hawker center (essentially an outdoor food court) the spiffier the place, the more you should be suspicious. Anyone who has to rely on such bells and whistles as unsticky seats and clean tables, after all, clearly is making up for his lackluster food. 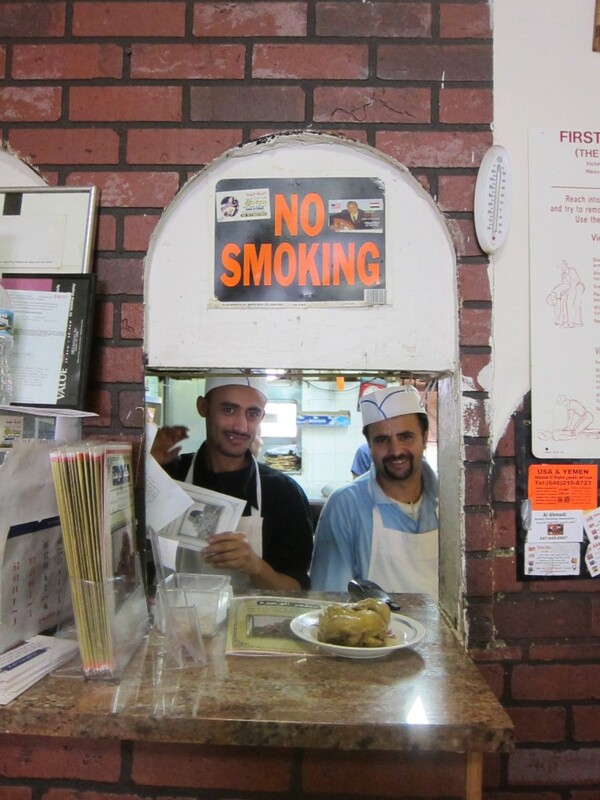 … and the patrons are warm and friendly — which is a little unusual for New York City, sadly. When a camera is whipped out and pictures are being taken, some men in a corner complain that they’re not getting any photo action. So, I oblige. 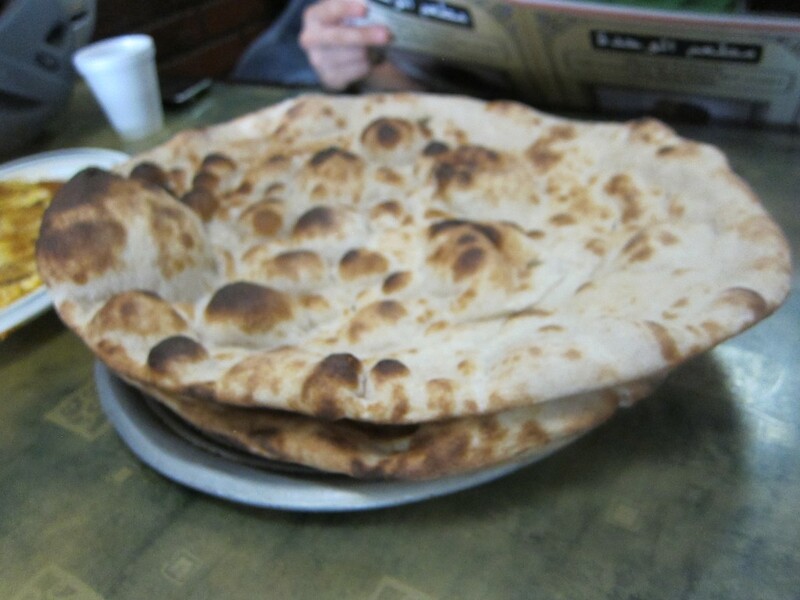 No frills governs Yemen Cuisine — there is water and sweet, hot tea to be had but you have to walk over to get it, pouring it into styrofoam cups and bringing it back with you. The first thing that hits our table is the flat bread, piping hot from the oven, crispy and bearing the marks of a lovely char. There is a reason this photo is so blurry — I literally was able to hold off my hungry lunch companions for just a nanosecond to snap this shot. Mere seconds later, this same bread looked as if werewolves had had their way with it. I kid you not. We began with the crusty white kidney beans topped with a layer of scrambled eggs ($7). 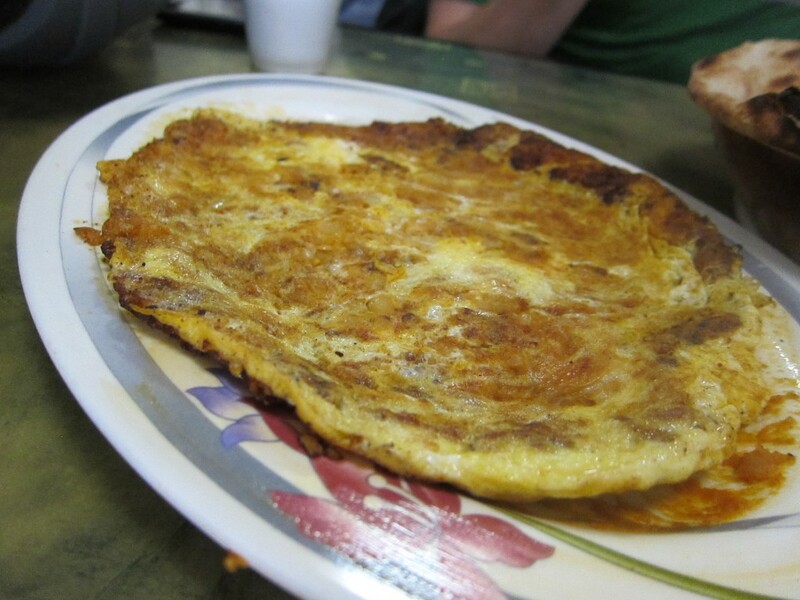 The idea was to peel off bits of bread and fill that with chunks of eggs and beans — this was very simple food, all of it incredibly satisfying. 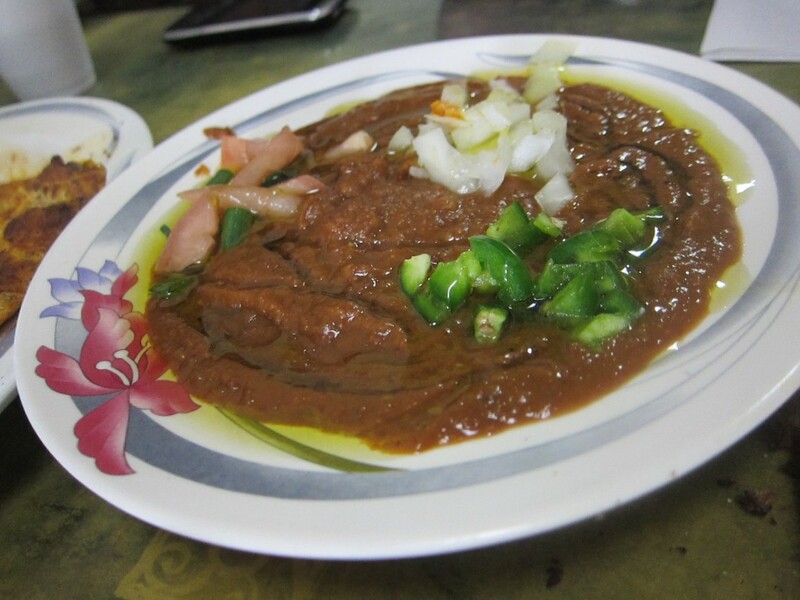 The $6 foul (pronounced “fool”) was the next to hit the table — fava beans topped with tomato, onion, olive oil and sesame paste. We ripped off more chunks of bread and wrapped them around the foul — this dip was packed with savory umami but also had lovely light sweetness from the tomato. 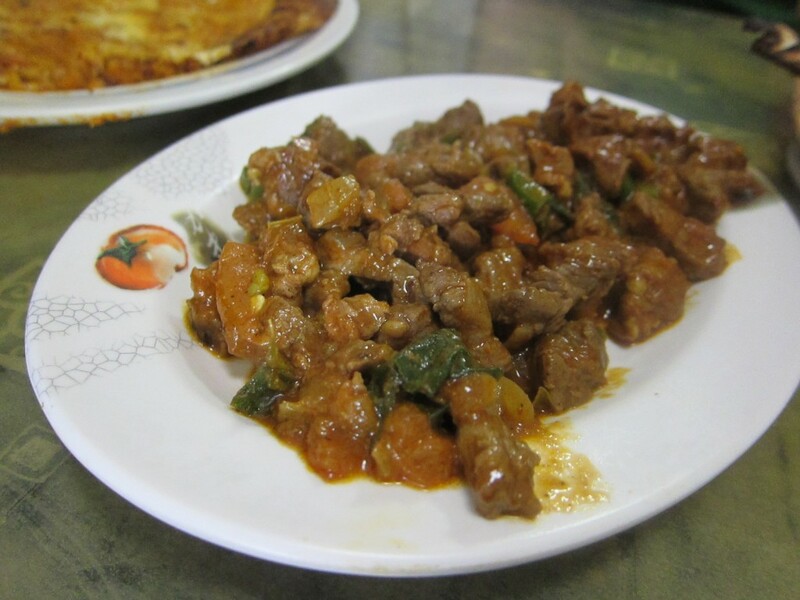 The lamb sauteed with tomatoes and onion in tomato sauce ($10), however, was the gem of this meal. It wasn’t falling-off-the-bone soft as I had hoped but the lamb was tender nonetheless — and delicious to boot. Wrapped in more of the hot bread on the table, the combination was divine. Our big meal — feeding three ravenous writers in the middle of a workday — came up to just $27. Not a bad deal indeed. 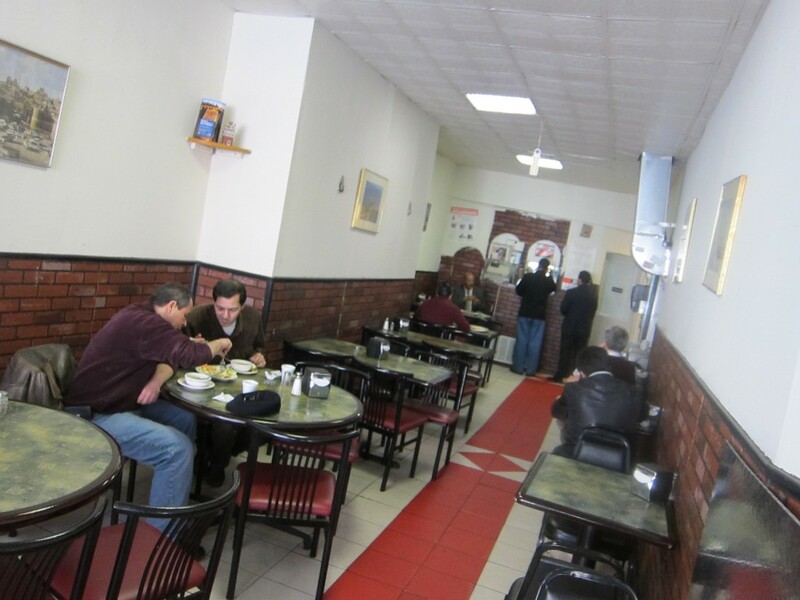 This entry was posted in Brooklyn, New York, Restaurants by Cheryl. Bookmark the permalink. I suspect they won’t part with their recipe but I’ll certainly ask the next time I’m there! Glad you’re enjoying my book! So very nice to hear…thank you.